It is time to take your herbal studies to a professional level! The Advanced Herbal Course has been designed to prepare students working toward a career as professional herbalists. This program will also benefit healthcare practitioners and students looking to grow in their holistic health careers, and those interested in expanding on their Intermediate Herbal Course studies, developing herbal products businesses, and herbalism education. The Advanced Herbal Course has been designed with the type of academic rigor that will help develop the budding professional herbalist’s knowledge base and encourage critical thinking skills in preparation for the hands-on clinical training that is part and parcel to becoming a clinical herbalist. 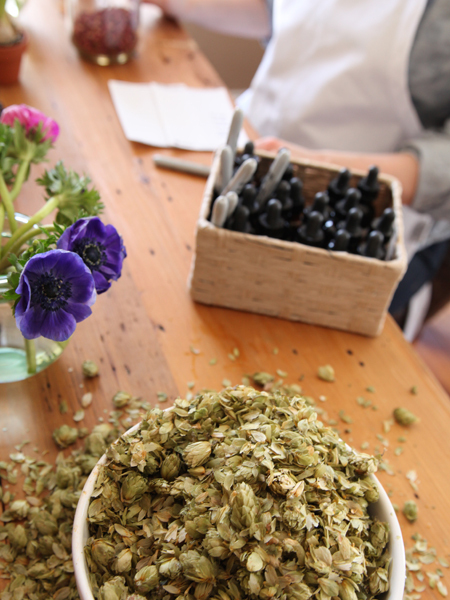 This 14 Unit program is offered for those students who have either taken our Intermediate Herbal Course or have amassed hands-on experience through workshops and self study and have established a solid herbal foundation. There comes a time when a student of herbalism begins to ask: Have I found my life’s path? Have I found the trail I would like to follow further and explore as a means to sustain myself? Could these studies in fact enhance – or change the direction of – my career? Perhaps you already know your answer is a resounding YES! Perhaps you are still asking these questions. Perhaps you have completed our Online Introductory and Intermediate Courses in herbalism and are looking for more forward progress in your herbal practice. Perhaps you are already a registered herbalist and are looking for a means to further your professional development, at your own pace. Perhaps you are a healthcare professional looking to round out your skills with an understanding of the role that herbs have played across continents for generations and continue to play in supporting health and well being of the human biome, as well as the history of herbalism. Regardless of your background, the Herbal Academy is here to help you take your studies to a professional level. We bring you a solid and challenging online multimedia Advanced Herbal Course. We have pooled together some of the most brilliant and well-known educators and authors, as well as clinical and folk herbalists from both the United States and abroad to teach you these lessons in advanced herbalism. Renowned herbalists such as ABC Board Member, HerbalGram contributing editor, and author Steven Foster; international lecturer, author, and herbalist Matthew Wood; American Herbalist Guild President Bevin Clare; and medical herbalist, Ayurvedic practitioner, and author Anne McIntyre are joined by medical herbalist, writer, and educator Pamela Spence; medical herbalist and Chinese medicine practitioner Steve Kippax; Emily Ruff, Executive Director of the Florida School of Holistic Living; Katheryn Langelier, Owner, Farmer, and Formulator at Herbal Revolution Farm & Apothecary; Medical Herbalist Erika Galentin; clinical herbalists Ayo Ngozi, Erin Smith, Joseph Mulhollen, Maureen Robertson, Chris Marano, Sara Rooney, Maria Noel Groves, Stephany Hoffelt, and Veda West; Herbal Academy Director Marlene Adelmann; Herbal Academy Assistant Director Jane Metzger; and many others who have come together to collaborate, providing a comprehensive herbal learning experience. 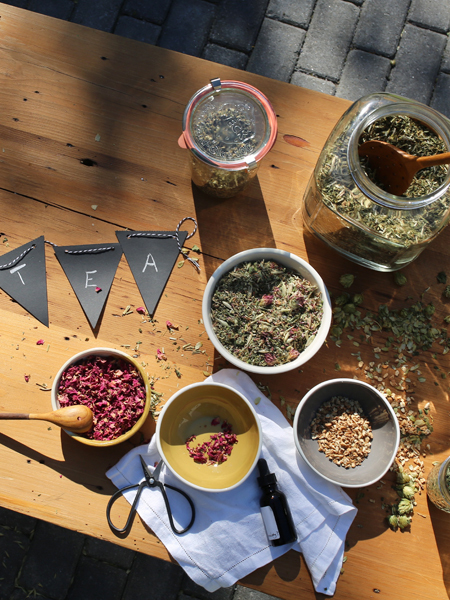 Follow our team of educators as they lead your herbalism studies by leaps and bounds further down your path in an approachable, affordable fashion. 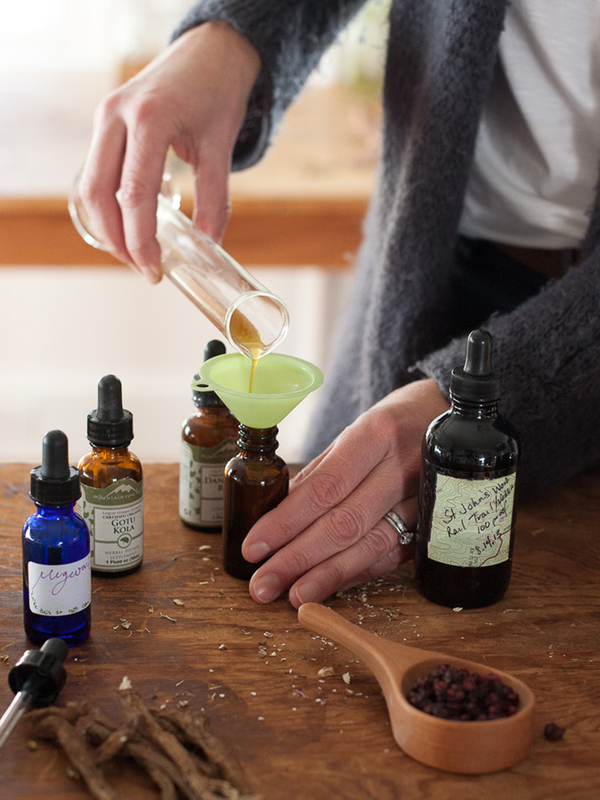 Our Advanced Herbal Course is designed to support the educational standard required for those interested in becoming a professional clinical herbalist. This curriculum has been designed with the type of academic rigor that will solidify your knowledge base and encourage the critical thinking skills necessary for the hands on clinical training that you will need to acquire to become a clinical herbalist. The program will teach you how to make thoughtful and thorough decisions about developing your career. The Advanced Herbal Course opens with a unit on Herbal Wisdom Traditions which sets the stage for the entire course and incorporates the history and wisdom of various traditions of herbalism and how they have informed the art and science of Traditional Western Herbalism. As a student, you will be exposed to case studies throughout the course which will highlight the larger clinical concepts of the lessons presented. Students will also learn more about client assessment and intake procedures, the philosophy of healing, and legal considerations for the practicing herbalist. The Advanced Herbal Course is a natural extension of the Intermediate Herbal Course, continuing the discussion on body systems with deep discussion of the Blood/Lymph, Endocrine, and Musculoskeletal systems, and exploring in more depth topics touched upon in the previous programs. This program is representative of the depth and rigor that you require as you devise your own business or clinical practice. The Advanced Course will equip you with the knowledge and tools you need prior to gaining hands-on clinical experience with a local clinical herbalist or mentor. The Advanced Herbal Course requires students to successfully pass 14 quizzes with a score of 80% or higher. In addition to reading and studying the lesson material throughout the course and passing the quizzes at the end of each unit, you are also required to complete the unit exercises presented throughout the course. These exercises have been developed to help students engage with and explore lesson content in more detail. You will also be asked to develop plant monographs for 20 herbs of your own choosing. We recommend choosing 3-4 herbs discussed in each body system unit or wellness unit in the course and experiencing and researching each of these herbs, compiling the information into plant monographs. Upon successful passage of all exams and a passing grade on the final monograph submission, students will be notified of their graduation with a signed certificate of completion. While this program is self-paced, students are expected to complete the Advanced Herbal Course in under three years. The three year clock is triggered with the action to “Start” the course (not at enrollment). On average, students should work on their studies at the rate of approximately 1-2 months per unit. We understand that special circumstances or life events may delay your studies, so we will offer extension options upon request for a small fee. The Advanced Herbal Course has been designed to prepare students for the hands-on clinical training that will be necessary prior to opening their own clinics as professional herbal practitioners. 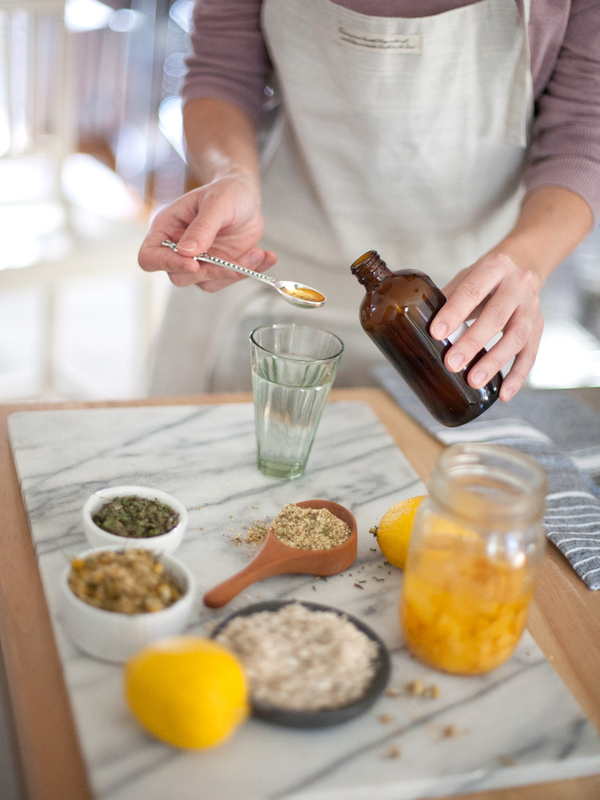 Those who wish to pursue that path are encouraged to work or apprentice locally alongside a practicing professional herbalist, with the understanding that obtaining clinical hours and even additional course training is advised before opening their own practice. This program will include recommendations and resources for taking these next steps. This Advanced Herbal Course will benefit students interested in growing in their holistic health careers, expanding on their studies from the Intermediate Herbal Course, developing herbal products businesses, and offering herbalism education. The three year course expiration date is triggered when you select the Start Course option in class; not at registration. 78 Lessons written by some of the most brilliant minds in herbalism. PDF downloads of all course lessons and media charts. Students will work on dedicated unit exercises for hands-on learning to engage with and explore lesson content in more detail. A signed certificate of completion upon graduation. Quality herbal monographs for in-depth study. Educational video demonstrations and presentations are provided to enrich your learning experience. Advanced Course students will also get access to our thriving private Facebook community! Graduates have the opportunity to submit their business or practice as a free listing on our website – featured under Student Shares. The Advanced Herbal Course will contribute toward the training requirements needed for a Professional Membership with the American Herbalists Guild.To learn more about the AHG’s requirements, please visit their website here. Access to the Herbal Academy’s catalog of discounts, including 25% off Mountain Rose Herbs and Bulk Herb Store orders, $20 off United Plant Savers membership, 25% off Natural Herbal Living subscriptions and herb boxes, and savings on Essential Herbal Magazine, Mother Earth Living, Original Organics, and more. “We are not makers of history. We are made by history.” – Martin Luther King, Jr. In honoring those who have come before us and paved the way for herbal healing into modern times, the course begins by setting the stage with the unfolding history and herbal wisdom traditions which have shaped Western Herbalism: from the rich historical knowledge developed within the humoral system of the ancient Greeks, traditional Chinese medicine, and Ayurveda; to the burgeoning discoveries of the American botanical movement in the New World as it was influenced by indigenous and European systems of healing; to the development of modern allopathy and then an awakening to the potential for a collaborative approach. The course explores the frames through which many cultures have integrated plants into a holistic approach to wellness, grounding our current and ever-expanding knowledge in all that has come before. This unit focuses on the hard sciences of botany, taxonomy, and pharmacology in order to prepare students of herbalism with the tools necessary to identify medicinal plants in the field, to understand and evaluate scientific research regarding phytochemistry and herb-drug interactions, and to celebrate the knowledge that scientific research brings to the traditions of herbalism. This unit will assist in bringing detail to our understanding of the intelligence of the plants themselves and how this intelligence communicates with that of the human body. This unit is geared for those who want to develop a herbal products business, and includes information on sourcing herbs sustainably, detailed guidance on complying with good manufacturing practices and legal requirements for labeling in the U.S., and helpful business advice on creating a brand from an herbalist who has done so successfully. The course will get you started in the right direction, giving you valuable information up front to help guide you through the process and save time, money, and frustration down the road. This unit explores the anatomy and physiology, common complaints, etiology of imbalances, and herbal therapeutic approaches appropriate for the blood, the lymph system, and mucous membranes. This unit explores the anatomy and physiology of the endocrine system, how to support the general health and wellness of this system, common complaints, etiology of imbalances, and conventional and herbal therapeutic approaches. This unit takes a thorough look at the anatomy and physiology of the male reproductive system, heart, and prostate, and discusses general wellness support for both boys and men. This lesson also provides information on support for common physical and emotional imbalances men may experience. This unit takes a thorough look at the anatomy and physiology of the female reproductive system, and discusses general wellness support for both girls and women, provides information on support for common physical and emotional imbalances women may experience, support for breast health, fertility, pregnancy, miscarriage, and birth; and takes an in-depth look at the menopausal transition and herbal strategies for support. This unit explores the anatomy and physiology of the bones, tendons, ligaments, and muscles of the musculoskeletal system; general health and wellness of this system; and investigates herbal support for common conditions as well as how to manage pain and inflammation associated with the musculoskeletal system. This unit discusses what it means to age, the energetics of aging, and herbal support for vitality in the aging process; takes a thoughtful look at important perspectives and considerations when conducting an herbal consultation with elders; looks at the anatomy, physiology, and herbal support for aging skin; and discusses common physical imbalances that accompany aging and herbal therapeutics to support them. Because nutrition is at the root of vibrant wellness, this unit dives into weight management for health, exploring the causes and effects of obesity, the fascinating brain-gut connection and energetics of food, the effect of sugar on the body, understanding food allergies and food sensitivities, and supporting a return to optimum body function via fasting and detox, healthy dieting, and integration of herbs into the daily diet. This unit explores the nature and philosophy of physical and emotional healing, the importance of the mind-body connection and how it is understood in different systems of healing, how emotional conditions affect physical health and ways to reach the emotional body or spirit, and a thorough look at aromatherapy and how to use essential oils for healing. This unit explores the practical skills of assessing the body using energetic and tissue state frameworks, tongue, face, and pulse assessment techniques, the clinical intake process, and advanced formulation of herbal remedies. Since there are many ways to be an herbalist, this unit explores how to define your path as an herbalist, how to seek and receive additional clinical training and experience, how to cultivate an authentic healing presence and communicate that to your clients, and how to continue to grow your skillset throughout your career. This unit will help you gain an understanding of what a clinical practice entails, how to acquire clinical training, what your legal responsibilities are, and how to run a practice, from keeping client records to developing intake procedures, and cultivating effective working relationships with your clients. Case studies are included throughout the course to illustrate imbalance experienced by real people and the clinical assessment and herbal protocols used to correct that imbalance. Not quite sure if the Advanced Herbal Course is a good fit for you? Our mission at the Herbal Academy is to provide quality education in herbalism that is both financially accessible and intellectually engaging, that honors our intrinsic connection with nature, and that combines modern science with a reverence for ancient traditions and knowledge. We joyfully believe that this Advanced Course exceeds that mission and enables students of herbalism to explore the depths of herbal arts and sciences within a safe and credible framework from the comfort of their own homes. Don’t worry, you won’t be alone in your studies! Our program’s lively forums will allow you to meet and share other classmates, and faculty members are always just an email away. You will be a part of a warm and supportive community learning experience as our herbal community grows, all created to solidify and support your knowledge.